Flickr/ Warren Rohner. Some rights reserved. The institutions, technologies and practices of British democracy are, for the most part, inventions from before the time of universal suffrage. In the fluidity and fracture of the 21st century, it is clear this democratic inheritance has become increasingly inadequate. Sharp, sustained differences in participation and voice by age, class, ethnicity and region have become entrenched. Politics has professionalised, class identities have weakened, and political parties have drifted from their anchors in civil society, left ‘ruling the void’. Reinforcing the post-democratic drift, the evolution of the UK’s political economy has shrunk the potential scope for and influence of collective political action and democratic participation. The general election clarified our evolution towards a divided democracy. As IPPR’s new report into political inequality shows, less than half of 18–24-year-olds voted, compared to nearly four-fifths of the over-65s, while three-quarters of ‘AB’ individuals cast a ballot, against just over half of ‘DE’ registered voters. Critically, democratic division has deepened over time. In 1987, for example, turnout inequality by class was almost non-existent and age-based differences were significantly lower; cleavages in both have steadily risen over the past quarter century. Today’s unequal electoral participation rates reflect underlying inequalities in levels of political participation more broadly, and – critically – perceptions of the fairness and efficacy of British democracy. For example, polling for IPPR showed that a striking 63 per cent of ‘DE’ individuals think that it serves their interests badly, while ‘AB’ voters are evenly split. Political inequality – where certain individuals or groups participate more in, and have greater influence over, political decision-making, and through those decisions, benefit from unequal outcomes, despite procedural equality in the democratic process - is therefore seemingly ingrained. Such cleavages in political power inevitably undermine the legitimacy and health of our democracy. Indeed, they go directly to the heart of the questions the Great Charter Convention series has raised: how can we contest and contain arbitrary power in society when certain individuals or group systematically have more influence over political decision-making? How can we be free when so many citizens think our political system ill serves them, and have withdrawn themselves from formal participation? If we accept the current institutional arrangements of our political system as the limits of our ambition, we must content ourselves to live in a divided – and therefore inherently partial – democracy, where such questions will necessarily be answered half-heartedly. We reject this settlement. Instead, we argue for reform focussed on updating the civic, institutional and technological architecture of democracy in the UK, with the explicit goal of ensuring that all voices are heard in the political process, and with a premium placed on institutional reform that can foster and sustain powerful democratic relationships in society. A Constitutional Convention would be one potential route towards that goal. Convening such a body would provide a space to debate how best to address systematic political inequality, whether through thorough-going electoral reform including PR and compulsory voting, the radical overhaul of the democratic aberration that is the Lords, or in reforming party funding, all of which the report supports. More than that, a Convention would provide the space and time to consider the urgent constitutional questions now confronting us. Yet Westminster shows no appetite for such political reformation, and there would only be so much a civil society-led convention could achieve in terms of practical change, important though such a convention could be in terms of animating debate about our constitutional fundamentals. On that note, recent efforts to convene two pilot Citizens’ Assemblies by the Electoral Reform Society with civic partners, in the Solent and Sheffield, are worth supporting and studying. Nonetheless, in our report IPPR has also proposed a series of reforms that could modernise the institutional and technological architecture of our democracy in the here and now, with the explicit goal of ensuring that all voices are better heard in the political process. This is not to abandon the goal of deep-rooted reform of our democracy. It is, however, to recognise the current moment, where simply pointing out the unfairness’s of our political system will not in itself resolve the challenges confronting our democracy. Instead, we argue for a democratic ‘war of position’, advocating institutional reforms that can be secured in the current context that will nonetheless advance incrementally, but irreversibly, the democratic quality of our political system and governance of our public institutions. A primary example is our proposal for establishing a Democracy Commission. 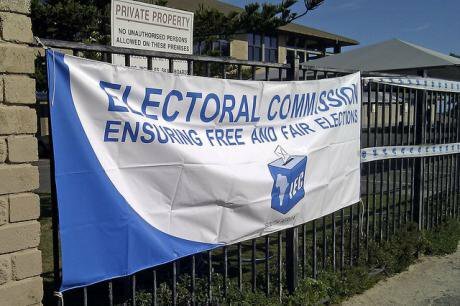 At present, the Electoral Commission effectively regulates elections and party funding. Democracy, however, is far richer and broader than just the electoral process. A statutorily independent Democracy Commission could therefore support the renewal of democracy through an explicit mandate to increase broad-based levels of political participation and deliberation in the UK. Its overarching mission would be to better democratise political decision-making through greater public involvement and influence in the process, thereby strengthening democratic organisation in society. The Commission could further this goal by three means: conducting and publishing research into what initiatives are successful at increasing political participation; advising public bodies and institutions regarding how to better democratise their functioning; and critically, by providing resources and capacity-building to facilitate local, civil society-led initiatives that aim to increase broad-based levels of participation or deliberation in political decision-making. For example, the Commission could help facilitate local deliberative bodies or citizen assemblies, support local authorities conduct effective participatory budgeting exercises, and experiment with new means for the public to engage in political decision-making processes in more direct and sustained ways. Interestingly, the Scottish Government is moving in this direction; the recently instituted Empowering Communities Fund has already invested in hundreds of community-based organisations to support the wider development of participatory democracy in Scotland. A Democracy Commission could institutionalise and bolster such an approach across all of the country. What is clear is that to address political inequality – which is a precondition to achieving the broader goals raised by the Great Charter Convention - we must restore substantive democratic power over how our political and economic institutions are organised, thereby better enabling individuals to come together to make collective decisions that shape their lives, communities and workplaces. There is no single piece of legislation or institutional mechanism that can do this on its own. Nor is the solution to be found in the imposition of a centralised, monocultural form of democracy upon an increasingly diverse country. Rather, it can only be achieved by encouraging invention and pluralism in political life and supporting new ways of participating, deliberating and being represented, with a focus on building and sustaining powerful democratic relationships and spaces in society. A Democracy Commission could help that process, and in doing so contribute towards broader, much-needed democratic renewal.